Dew Estate has announced that Hyde Park Cigars in Chicago, Illinois will be the exclusive home for the Liga Privada Unico Serie Pork Beli. The Pork Beli becomes the latest release in the Liga Privada Unico Serie which will be a limited annual release. If Pork Beli sounds familiar, it’s because two years ago a Liga Privada No. 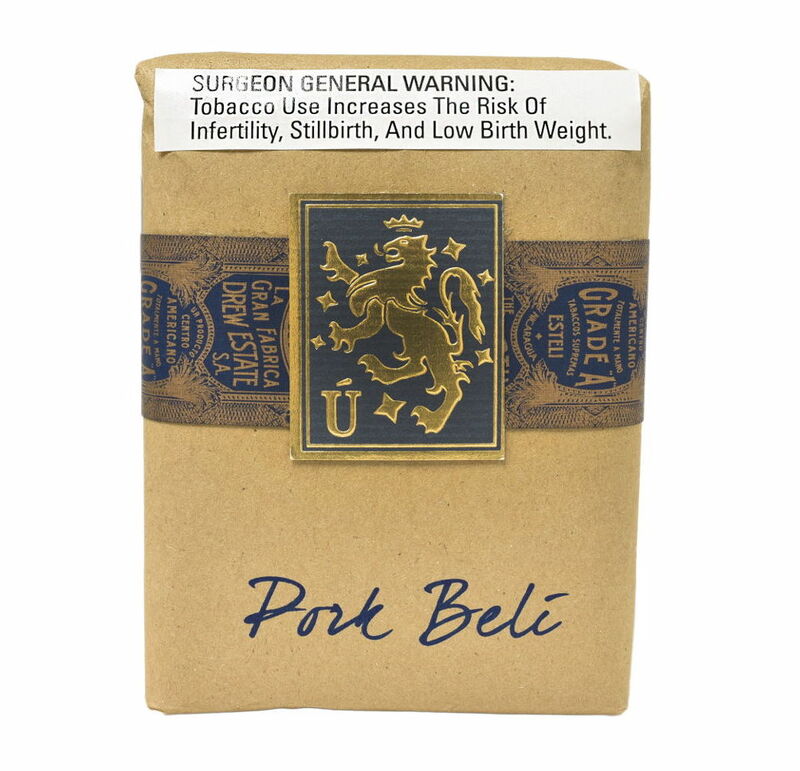 9 Pork Beli was made available on an extremely limited basis to Hyde Park Cigars. The Unico Series features a slightly different blend highlighted by a Connecticut River Valley Broadleaf wrapper, a Brazilian Mata Fan binder, and all Nicaraguan filler. The blend was crafted by Drew Estate Master Blender Willy Herrera and incorporates the same tobaccos used in the Liga Privada Unico Serie Feral Flying Pig. Pork Beli is available in one size – a 4 3/4 x 50 Short Belicoso. It will be packaged in ten count soft count bundles priced at $139.60. “Hyde Park Cigars has been a key partner and true friend in Chicago for many years. The Liga Privada Pork Beli is a sizzling mega blend, based on our Feral Flying Pig blend vitola bursts with leveled flavor. I am excited for our people to head to Hyde Park Cigars and get down with this limited yearly release,” commented Drew Estate co-founder and President Jonathan Drew in a press release. Chicago is also the exclusive home to the Liga Privada Unico Serie UF-4. This is an exclusive made available to Casa de Montecristo in the Chicagoland area on a limited annual basis.